Meet The New Faces Of Sawyers Feed Mill Ltd. As Sharpe Farm Supplies Purchase Sawyers Feed Mill Ltd.
Meet Shelburne Soccer's Club Board of Executives and find out what they want you to know! Find out why her popular books rennonate with teens and also strike a chord with readers of all ages. & their clever ways to earn money to create a fantastic graduation. Click here to edit text. Scroll down to see full full photo and article. Can You Guess Where This House Is Located? ON WALKING PATH BEHIND JELLY STREET SOUTH. Shelburne Town Pharmacy Does It Again! Pharmacist Sanjay Lekhi, owner of Shelburne Town Pharmacy, is very proud of what he and large number of volunteers have been able to accomplish in support of Sick Kids Hospital during their annual Fundraising Event held at Giant Tiger Plaza, on Saturday May 28, 2016. Bringing in $2,200 was a community effort and the community turned up to see Elvis impersonator, Terry Dieter, Feral Cat Rescue Kittens, Troupe-Adore with a series of wonderful live performances, Shelburne Police Services, Emergency Services, Shelburne Fire Department, Classic Martial Arts Centre- Umaka Dojo, Games,and more! "The community is strength. Shelburnites have kind hearts to help children in need. Some child somewhere will benefit from this fundraiser," commented Lekhi, adding,"The Fundraiser is so much better because of all the great volunteers! I'm so happy, thrilled about the outcome as everyone worked so hard." In their inaugural fundraiser last year, Lekhi reports $15,00 was raised and so 2016 exceeded all expectations with a whopping, $2,200 raised. (LtoR) Brenda Haines, Owner Of The Shelburne Transporter volunteered her time to help out with the Fundraiser, Sanjay Lehki, Owner of Shelburne Town Pharmacy had organised for Sick Kids Hospital. Click on the image(L) and visit The Shelburne Tranpsorter Website for more information of this wonderful caring service. Click image below for video of Elvis Impersonator meeting his new young fan! More video coming, stay tuned! New Hot Dog Vendor, "SLICKSTERS HOTDOGS"
Why Are Ontario Parents So Concerned Over Ontario Premier Kathleen Wynne's Cutbacks To Autism Services For Children Five and Over? Ask Paul and Nicole Taylor(L) as seen with young son, Paul Jr. 5, who lives with Autism. The Shelburne Freelancer looks into the money trail and it leads right back to Kathleen Wynne! Slicksters, owned by Sean Strickland is a new hot dog vendor to Shelburne located at 735 Industrial Rd, ( across from Tim Horton's) on the CARS Parking Lot on Highway 124. During Stickland's grand opening on Saturday, May 21st, he collected $228.95 in support of Autism Awareness. Stickland will be located on this convenient location for the duration of the summer. CALL 1-647-769-7326 For more information. Paul and Nicole Taylor, owners of CARS (Canadian Automotive Restoration Specialists) and advocates for Autism Awareness, were also hosting an Autism Awareness Day in support of their five year old son, Paul Jr. who lives with Autism. Getting the word out is incredibly important to the Taylor's and even more so since Ontario's Premier, Kathleen Wynne sanctioned cutbacks in Autism Services that are devastating to parents and children living with Autism. Wynne has been long affiliated with Autism throughout her over twenty year relationship with spouse, Jane Rounwaithe, who was heavily involved with Kinark Child and Family Services, raising conflict of interest issues with the public as a notable amount of "Autism Money" seemed to find itself in Rounwaithe's direction over the course of many years. Now shrouded with suspicion, Wynne is quickly learning that parents across the province are holding her accountable for ridiculous and unfounded cutbacks to IBI Services (Intensive Behavioural Intervention) that are not backed by scientific studies as she states children over five years of age do not benefit from which is categorically incorrect and leaves the public scratching their heads over where the "Autism Money" went as studies are nowhere to be found. As for the Taylors, their major priority is to have IBI therapy returned to Ontarians like their son who have benefitted dramatically with the care and progress IBI provided. A very controversial situation with little attention by Wynne or Rounwaithe pointed to the heart of the matter, the children living with Autism. Click here to watch City News report for an even better understanding. Shelburne & District Fire Department held a charity car wash in support of Salvation Army Workers providing constant sustenance to Fort McMurray Firefighters.
" The Shelburne and District Firefighters Association would like to thank all who came out to our car wash today. We are very pleased to report that we will be donating $820.00 to the Salvation Army Alberta Fire Fund. We chose this charity as they operate canteen trucks that have been feeding and comforting the First Responders on the ground in the affected areas. We can't be there to directly help our brothers and sisters, so we will help those who help them. The Firefighters Association has also donated $200.00 to the Red Cross Relief Fund. We couldn't have done this without the support of the community, and for that we sincerely thank you," commented Shelburne Fire Chief Brad Lemaich over Facebook. Lemaich also felt very strongly that support workers should be acknowledged and thanked for all that they do, letting them know that Shelburne cares and is grateful. "We wanted to do what we can for our fire fighting brothers out there," Lemaich added. Click on the photo above to visit the Shelburne & District Fire Department's Facebook Page. Worth noting: Royal Towing donated for the supplies and the department donated the space for this event. Also included for every car is a summer safety booklet. 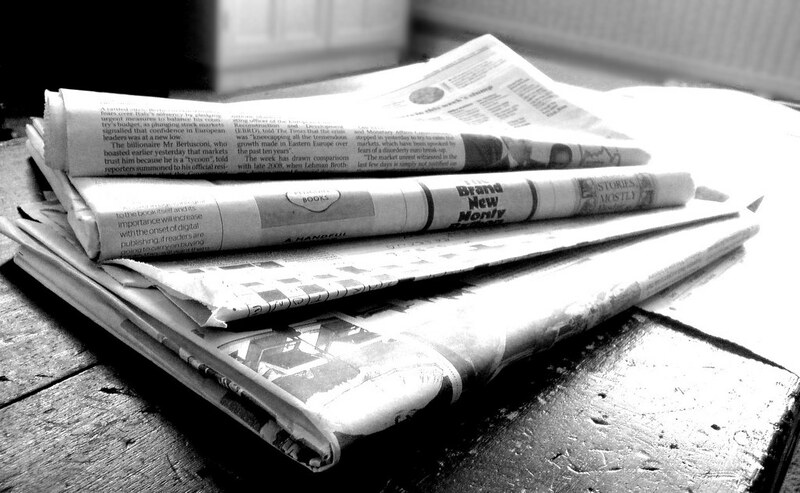 This article made in collaboration with Amelia Sher, Journalism Student At Sheridan College. Lake's company based in Flamborough, just outside of Hamilton was required as clean-up was simply too big a job, as the Town Of Shelburne clean-up crew are still working relentlessly in an attempt to catch up, following the terrible and devastating ice storm only a couple months passed. Concerns surrounding the water flow which is at present almost at a standstill along the path and the flooding which occurs during every torrential downpour was brought to the attention of Town Council by Shelburne Mayor, Ken Bennington. Convinced work on the path for tree removal should ensue quicker than later, it is with great optimism the damaged and fallen tree removal can help in the prevention of future flooding, and aid in the return of a fresh water flow from the Boyne river, strong enough to flush out some of the water that has become stagnant and green with pond scum. Health issues are also a concern as water such as this attracts mosquitoes carrying virus' and will also at some point drive neighbourhood geese to a healthier source of water. Time will tell if this effort works as the Town of Shelburne once again makes every attempt possible to maintain a healthy environment for Shelburnites. The Market opens at 3:00pm - 7:00pm located at First Avenue West in front of the Trinity United Church at the corner of Owen Sound St. and First Avenue West.
" We are pleased to announce the beginning of the Shelburne Farmers' Market Season for 2016. This season we have an excellent variety of local farmers, prepared food vendors and artisans. With 23 vendors and a line up of local musicians and many other special events, this 2nd season on First Avenue West will be a weekly event not to miss. From the world's largest ice winery, fine local meats, prepared bar-b-q to a variety of fresh greens the market will offer a festive feel with a local flare. Join us this Thursday, May 26 at 3:00 pm and each week at this time to stock up on the finest local foods and crafts." Slicksters HotDogs Will Be Making Their Debut! Paul and Nicole Taylor, Owners Of Cars Automotive Restoration Specialists located at 735 Industrial Road (across from Tim Horton's) are also advocates for Autism Awareness as their young son, Paul Jr. and the family live with Autism. They will be hosting an Autism Awareness Fundraising Day, on Saturday, May 21, 2016 and they will introduce Slicksters Hotdogs, owned by Sean Strickland who will be located on the CARS property for the summer. Strickland believes this location to be a prime location and looks forward to serving up hotdogs to Shelburne and the surrounding communities who pass by. All proceeds from beverages sold on the 21st by Slicksters Hotdogs will be donated to Autism Awareness. The day promises to be filled with fun & hotdogs ! See You there! For more information, conatct Owners, Paul and Nicole Taylor at 735 Industrial Rd, Shelburne, Ontario,L9V 2Z4, call, PHONE 905 866 3519 or email cars@carspecialists.com (Lto R: Back) Owners of CARS, Nicole Taylor, Paul Taylor, Slicksters Hotdogs, Owner, Sean Strickland and featured in front sporting a styling Fedora, the young, Mr. Paul Taylor, (Jr.) who is a little camera shy! other Towns to follow suit. Click on image above to see the CTV interview.The McDowell's five year old daughter, Emily, has spent the majority of her life unable to communicate due to living with autism. After six months of Intensive Behavioural Therapy,(IBI) Emily did what what every parent with an autistic child dreams of and began speaking. Now that Emily is five years old, with new cuts to Autism Services thanks to Kathleen Wynne's ill advised decision, Emily's progress will likely come to a screeching halt which is devastating the McDowell family and leaves little hope for other parents who would otherwise be inspired by Emily's progress. The idea that Wynne could even fathom pulling the rug out from these families, removing all hope because a child is five years of age, is so odd, so strange, an internet savvy public can only wonder if there is some sort of financial incentive for Wynne and are looking for answers. We all know the expression," If It ain't broke don't fix it!" however the problems that existed previously to the cutbacks, wait times, etc, are small inconveniences compared to the mess, devastation and complete lack of consideration for children with Autism Wynne has now created. Families who live in Ontario are now considering moving to other provinces where IBI is available in the hope of trying to provide some sort of future for their child. Take a look at Emily's Progress Chart in the last six months of IBI Treatment and realize she turned five somewhere in the middle of the completely successful treatment. Now understand that Instead of 20 hours a week, this little five year old may just stay in a stunted state of progress never improving from this point with 2 hours of treatment, once a week. Imagine the heartbreak of parent's Kelly and Julian McDowell who were so looking forward to continued progress. what will the future hold? Five year old Emily McDowell meets Shelburne Mayor Ken Bennington and extends her hand in greeting, a task six month earlier would have been impossible to even imagine. While ministers in the Wynne Government condescend to parent's struggling to understand how the Government cannot know what a terrible thing they have done, parent's will not stop trying to fight the cutbacks. Their children's future depend on it. It's really some kind of wonderful when youth surprise and an even bigger surprise when they reach out and make a difference in the world. When Katie Waters heard about Fort McMurray, and the devastation it faced after being ravaged by out of control wild fires, she was more than impacted, and she decided to help. "I felt bad for all the people who lost everything I wanted to let them know their country cares about them," commented Waters. After discussing with her friends, Madison Walsh also stepped into action , "I didn't want to be a bystander." Jeanna Kovacs also wouldn't be left out of the action, commenting, " I was wanting to help my friends." A Bake sale idea was brought to fruition and on Saturday, May 14th this team of friends brought in $600 which the TD Bank will double as will the government before sending it along to the Community of Fort McMurray via the Red Cross. Hats off girls! A job well done! (LtoR) Patron, Bill Stavoro, Jeanna Kovacs, Madison Walsh, and Katie Waters. Reverend, Stephanie Pellow. The check is a result of vanTeunenbroek's generous idea to sell NoFrills Keychain Quarters to use in the Shopping Cart coin lock dispenser for $2 donating one dollar of every sale directly to the Shepherd's Cupboard. The check totaling $876 is a welcome sight for the local food bank and is greatly appreciated. What does NoFrills get out of it? Adding to the convenience of his shoppers is a good thing in addition to helping the local food bank and the remaining dollar just barely covers the cost to make the keychains, vanTeunenbroek did comment in a previous intervew, "Basically, selling the key chain quarters are a 'win-win' for everyone, and I'm happy to help the food bank." Pellow, truly grateful commented, " I am always amazed how good people are. People are so generous." BUT WHERE DOES THE MONEY REALLY GO? The generous donations of Shelburnites actually goes where is should be going, no detours, but right to the Foodbank. According to Pellow, this monetary type of donation comes in quite handy. While food drives are excellent ways to collect food items, there some items necessary for life's need that money can by in the way of, soap, diapers, shampoo, even pet food. That's right, pet food! Pellow also reminds critics how life can change on a dime for anyone and some times that includes families and their pets. Click on the Shepherd's Cupboard Logo (Below-L)for all contact information. While numbers are down for those in need as compared to last year's, Pellow revealed some interesting and concerning facts and first and foremost is the low minimum wage and how it's affecting families especially. "People simply cannot survive on minimum wage, it's that simple, and I sometimes wonder if people realize we are here to help," commented Pellow adding," technically this is a supplement service to a regular job that doesn't pay enough or to supplement regular social assistance. It's so hard for seniors and families these days. The money from the key chain sales, is so helpful. On occasion we might be able to buy a pallet of food at a time. On one occasion we need a fridge. The money is so appreciated. It really is." What began as an idea from vanTeunenbroek became a NoFrills Key Chain reality that Shelburnites embraced and even more Shelbunrites were given the help they need. Now that's, 'The Good Stuff !" Helping Out In A Big Way! Branch 220 of the Royal Canadian Legion in Shelburne presented Abiding Place Ministries with a cheque for $1,751.95 as part of a total $3,503.90 donation to The Little Bouquet Children's Home In Haiti, towards the purchase of a bus. (LtoR) Photo and Message by Phil Norris, Public Relations Officer. Click on image above to visit Abiding Place Ministries' website! In April 2015, Shelburnite Edd O'Gorman of Jelly St. South invited Mayor Bennington for a walking tour of what could be seen in the back of his property following the devastating Ice Storm of 2016. Bennington did so on his personal time and clearly examined the area noting there were some serious problems in the neighbourhood regarding clean up efforts, and the ongoing lack of water flow and drainage by the public walking path. Concerned with the serious problem, the Mayor brought the situation to the attention of Shelburne's Town council where it was then decided, repair to the area must take place and soon. (Above)Edd O'Gorman (LtoR) Thanks Mayor Bennington for spending time examining property behind Jelly St. South following the devastating ice storm of 2016. Just a few weeks later, it is easy to see why Mayor Bennington was so concerned as drainage clean- up has not been performed and water-flow has come to a standstill creating a very stagnant and smelly situation not to mention the many environmental questions involved. Click here to go to our Photo Gallery for more photos of this serious issue the Town Of Shelburne faces. To Shelburne Town Council For Help. Kelly McDowell's fight to reverse Kathleen Wynne's decision involving cutbacks to Autism Services which is currently devastating hundreds if not thousands of children 5 and over as a result of removing Intensive Behavioural Intervention (IBI) Services, brought McDowell to Shelburne's Town Council with a Resolution for consideration which was unanimously passed. This resolution makes Shelburne one of the first, if not the first Ontario Town to take a stand against Wynne's cutbacks and the resolution will be sent to Wynne and all government ministers involved. Hopefully Shelburne will be setting an upstanding precedence for other's to follow. Click on image of Kelly McDowell (above) for video of McDowell's well versed request to Council. It's the "Good Stuff". Shelburnites Care! Owner of John's NoFrills, John van Teunenbroek is proud to announce that John's NoFrills over last Thursday, Friday & Saturday, has collected $4,382.57 for Fort McMurray survivors following the devastating surge of wild fires that destroyed everything in it's path for miles around producing thousands of people who have lost absolutely everything. Be sure to stop in and show your support as the fundraiser is on going. Owner of Shelburne Town Pharmacy, Sanjay Lekhi is very excited about his upcoming Fundraiser in support of Sick Kids Hospital. The wonderful Fundraiser for such a worthy cause as Sick Kids is very dear to the hearts of Shelburnites has evolved into a community event and fun for the whole family featuring local entertainment, craft tables, Sharon Morden of Feral Cat Rescue, and many more attractions. The even takes place May 28, 2016 and if you would like to show your support, network your business, or make a donation, contact Shelburne Town Pharmacy, located at Giant Tiger Plaza at 519-306-5500. Click on the image (L) of Pharmacist, Sanjay Lekhi to visit their facebook page to see photo's of 2015's spectacular event where Elvis performed live! What Does The Market Have To Offer You? Perfect For Finding That Special Mother's Day Gift! Rustic, quaint, charming, old fashioned goodness, and great customer service are just a few of the all positive reviews customers have to say about The Market, a 'country shopping' store, and just like in the old days, of course a fresh, free cookie is waiting for you! Click Above For More Photos On Our Photo Gallery Page. The Market offers a wide variety of fresh baked goods including bread,tarts, pies, fresh produce, jams, preserves, jellies, pickled onions, pepper jelly, frozen items, Kawartha Dairy products like milk and fan favourite, ice cream! Unique to those who love the warm country feeling The Market is known for, specialty gift items combined with old fashioned, charming decor, The Market is the perfect place to breeze in, purchase wholesome dinner products, the unique present for that special someone, grab an ice cream while you order top soil and mulch.The Market really is a "country store" and should definitely be one of your shopping destinations, even if only to treat yourself for Mother's Day! Owners Virginia and Doug Hansford will be waiting to greet you with a country smile and free homemade cookie. Does it Get any better than that? When Shopping Local Tastes This Good, Bet You've Been To The Market! Look What's coming To Shelburne! ACCE Photography, business owner, Althea Casamento would like your support at Shelburne's Town Council Meeting Monday, May 9, at 7 p.m. when at 7:30 p.m., Casamento appeals to Council with the hopes of making this wonderful Fall Wedding Show a recognized Annual Event! This event will bring people to Shelburne to Shop and inspire other events to start popping up creating hustle and bustle in this wonderful Town we call Shelburne! In November 2015, owner of John's NoFrills, John van Teunenbroek, introduced Shelburnites to their newly installed PC Plus Banking service which exponentially increased shoppers ability to one stop shop with convenience. Later van Teunenbroek introduced NoFrills' Key Chain Quarters, alleviating the need for shoppers to find a quarter in order to procure a shopping cart. Key Chains can be purchased at every check out. Click on image below and visit John's NoFrills Current Flyers. Notably worth mentioning is the fact that the NoFrills' Key Chain Quarters sell for only $2 and $1 of every sale gets directly donated to Shelburne's local food bank, the Shepherds Cupboard, making this philanthropic gesture a "win-win" situation for all involved. This week marks yet another added convenience for John's NoFrills' shoppers as van Teunenbroek introduces Shelburnites to their newly installed Photo Lab Service. "I am just supplying customer demand," commented van Teunebroek adding, "It's an added convenience for my customers." Humble in his regard for his actions, van Teunenbroek has always been a huge and consistent supporter of the Shelburne community. Now shopping at John's NoFrills can actually be as simple a chore as arriving, not fumbling to find a quarter for the shopping cart, conduct a little banking near the Pharmacy, move two feet over, get your photos printed, and continue on your way during your convenient, one stop shopping experience. Special Thanks to John van Teunenbroek, owner of John's NoFrills for helping to make the lives of Shelburnites so much simpler and easier. John's NoFrills is located at 101 Second Line RR#1, Shelburne, ON L9V 3J4 and for more information call, 1800-296-2332. Rebecca Landman,(Above) owner of Landman Bakery is now open for business Fridays 10 am-6 pm & Saturdays 10 a.m-4 p.m. Located on Concession Rd 6-7 on the way to Grand Valley. Click on Landman Gardens Sign (above)to visit their website . History of Blackhouse from Landman Gardens Website. Click on image below for more. Book your Dinner at Blackhouse Today! Our Blackhouse was built as the feature of the Dry Stone Wall Associations' festival in 2009. During the festival we had 30 students taking courses, learning how to build walls. We also had 15 experienced Dry Stone Wallers building the Blackhouse. We had three renowned teachers from across the world teaching the students. Each bringing their own experience to the event. Our Blackhouse is a replica of a Scottish Blackhouse. Visit the Dry Stone Canada's website for current events. This message sponsored by The Shelburne BIA Farmer's Market where Landman Gardens will be in attendance. A number of recent barn fires in Ontario have resulted in significant loss of property,including livestock. The emotional and financial impact of a barn fire can be devastating to the owner, the community and the emergency personnel who respond to the incident. properties.Fire Chief Brad Lemaich stresses that fire safety is the owner/operator’s responsibility. order: ensure all electrical work is performed by licensed contractors; Discontinue the use of extension cords and unsafe wiring; Perform welding and cutting operations only in areas that are free of combustible materials;Store and handle hazardous products according to manufacturers’ recommendations and applicable regulations; Mix fertilizers and chemicals carefully in well-ventilated areas; Provide and maintain a clear unobstructed lane-way or yard area to each building and access to water supplies that might be required for firefighting. For additional details on how to mitigate the risk of fire on farm properties, a free publication entitled Reducing the Risk of Fire on Your Farm is available for download from the Ontario Ministry of Agriculture, Food, and Rural Affairs website at www.omafra.gov.on.ca . This document includes tips on fire prevention and preventative maintenance and provides a checklist to assess fire risks in farm buildings. 114 O’Flynn St.,Shelburne, ON, call 519-925- 5111 or email sdfd@bellnet.ca. This message provided by The Shelburne & District Fire Chief, Brad Lemaich. Tony Finocchio,Owner Of Tony's Street Meats & The Petition He Hopes Will Challenge The Town Of Shelburne's Decision To Deny Him An Intermittent Business Licence For His Hot Dog Cart. Mr. Tony Finocchio,(L) Owner of Tony's Street Meats, 101 Main Street in Shelburne is actively pursuing names for a petition he hopes will challenge Shelburne Town Council's unanimous decision to deny Finocchio an intermittent business licence that would allow Finocchio a Hot Dog BBQ Cart located on the outside on the space he rents in front of the storefront property he also rents. Council's decision to deny Finocchio's request comes on the heels of many complaints from local Shelburnites and after careful consideration, was announced at the Council meeting held on April 25th, where a particular incident was revealed involving an elderly citizen being aggressively ushered off the outdoor space by Finocchio who is greatly aggravated by locals simply walking through the space without patronizing his business. In an attempt to avoid locals simply passing through, Finocchio has placed plenty of signage but to no avail. Shelburne Town Council's decision reflected Shelburnites' complaints which Finocchio flatly denies and also completely denies ever having been abrasive, overly passionate, aggressive, or forceful when ordering people off the property he rents, as the complaints reflect. So self assured the petition will work, Finocchio has revealed he has taken out a $50 Ad in the Shelburne Free Press hoping the publicity will work in his favor when he and his Lawyer attend the next Sheburne Town Council meeting which will be on Monday, May 9, 2016 held at Shelburne Town Hall at 7p.m. Finocchio will bring up his cause during question period. Comes To Shelburne's Main Street! The Canadian Bath Bomb Company located at 104 Main St. East will open it's doors on Tuesday, May 10, 2016. This family business owned and operated by Jackie and her husband Neil Pritchard are busy settling in to their new location so the opening will be a "soft opening" as there is still much work to be done in the way of renovating. The Pritchard family are originally from, Stoke Ontrent, England, where Jackie began experimenting with soap making as a hobby while helping out in the family bakery business in product and development. As her talent and curiosity grew, Pritchard found herself making soaps and lotions, attending craft shows, until she created the Canadian Bath Bomb Company which she ran out of a separate building on their farm in Melancthon. Deciding to downsize, the Pritchards relocated to Shelburne's Main st. where they will work and live selling their high quality product line. The dynamic and business savvy couple also sell wholesale in addition to the retail store they will run. The Pritchard and their Canadian Bath Bomb Company are a welcomed addition to Shelburne's Main Street and to the Shelburne Community. This article sponsored by the Shelburne Business Improvement Area(BIA). To Make Grad, 2016 The Best Year Yet! Centre Dufferin Distrcit High School Students are well known for being resourceful thinkers when planning or organizing events and hosting fundraisers. The Grad Committee of 2016 is no exception having planned a Clothing Sale on Saturday, April 30th, to help off-set graduation costs. As seen in the photograph(L) the Committee was set up in the library with a wide variety of clothes to offer. What viewers cannot see are the many vendors who rented tables in support of the clothing sale who lined the entrance and hallway. What a great addition to the forward thinking actions of the committee speare headed by CDDHS Math teacher, Crystal Heaslip. In case you missed the event, click on the image above to see the vendors who attended featured in the May 2016 Photo Gallery. Fabulous work and yet again, it happened in Shelburne! On Friday, April 29, 2016, a concerned parent in Shelburne went to social media in attempt to raise awareness after witnessing a man who could have abducted her child if not for the quick thinking actions the youngster. It was 8:58 p.m. that evening when Monica Van es added this post to Shelburne's highly relied upon information face book page, Shelburne Q&A and Resource Hub, hoping to help keep other children in her community safe, "Earlier this evening I saw a man stop his car in front of my house in the middle of the street and get out of his vehicle to start taking pictures of the houses around me which of course I thought very strange but as I approached him he drove off all the while he has his phone out taking pictures of each house as he drives off. As my 10 year old daughter was walking back from dropping her friend off at home the same man approached her and asked her if she wanted to go home with him. His story was that he had dogs at home that were about to have puppies and would she like to see them. Thankfully she was smart enough to take off but this is scary to say the least. He was an older gentleman, white, thin build, white hair in a gold minivan wearing glasses and a blue plaid shirt. The police have been advised and am on my way to give a statement. Please warn your kids and neighbours. This happened in the Berry and Greenwood area. I want to add that he actually approached her and was close enough that she kicked him before running off as she said he was reaching his hand out to her so this guy is dangerous." Van es has contacted the police and had this to say, " Police are aware. We (daughter and I) went to the station to give a statement and they advised that they sent cruisers out to patrol the area and advised Orangeville and surrounding police with the details." After having reached out to social media, the messages began flowing in with fear, disgust, surprise, threats of vigilantism, gratitude the youngster is ok, and it was a reminder that Shelburne, as beautiful and safe as we always feel we are, these kinds of things can happen. 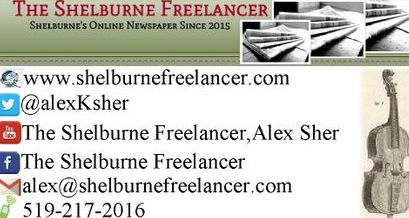 The Shelburne Freelancer is awaiting comment by Shelburne Police Services and will provide updated information as it arrives. Special thanks to Shelburnite Monica Van es for sharing her very frightening story. BE VIGILANT SHELBURNITES! NO NEED TO OVER REACT, BUT IT IS NECESSARY TO BE AWARE OF OUR SURROUNDINGS. "Sharpe Farm Supplies Ltd. Purchases Sawyers Feed Mill Ltd." was the announcement released in a Press Release on March 24, 2016. In the release, Sharpe Farm Supplies Ltd. explained it is a family owned farm service company headquartered in Guelph and has served agriculture since 1986 with grain handling, crop inputs, feed and farm supplies coupled with service for 5 equine and farm communities that being Guelph, Elmira, Fergus, Freelton, and Moffat. As the Sawyers are a cherished and well loved facet of Shelburne society having helped the Town of Shelburne continue to thrive over decades of adversity, the Sawyers feel, after 97 years in business, "It's time." Looking forward to a little rest, a little travelling and re-painting their beloved classic Ford Truck, Jim and Marion (above) are secure in their decision to sell and will be sorely missed. Also worth noting, they are convinced in the fact that Sharpe Farm Supplies Ltd. are very dedicated to their profession and will do their best to serve Shelburne and the surrounding area. The future does look very bright for Sharpe and it's always nice to know while some things will not change, "Chick Day" will continue as a well desired service. Meet the new welcoming faces eager to serve customers, Sharpe Farm Supplies Ltd. employees,(LtoR) Store Manager Lisa Kruk and Equine Consultant, Alex Cartwright and of course, the stars, the chicks! of the stars of the show, -the Chicks!